We have illuminated kits for sale so everyone attending this year's Portland Winter Light Festival can participate. 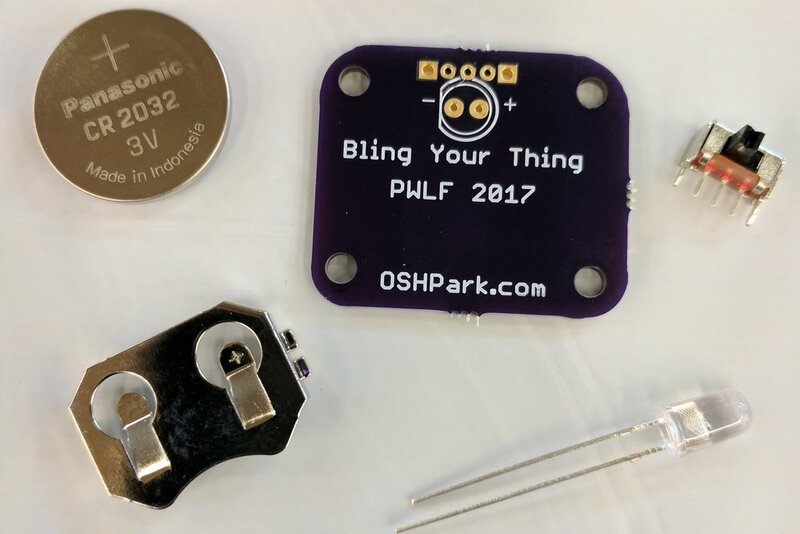 There is still one more workshop happening, but if you cannot make it, be sure to pick up a kit from us before the festival on February 1-4. 6. Add beads for rain! Decorate however you'd like! 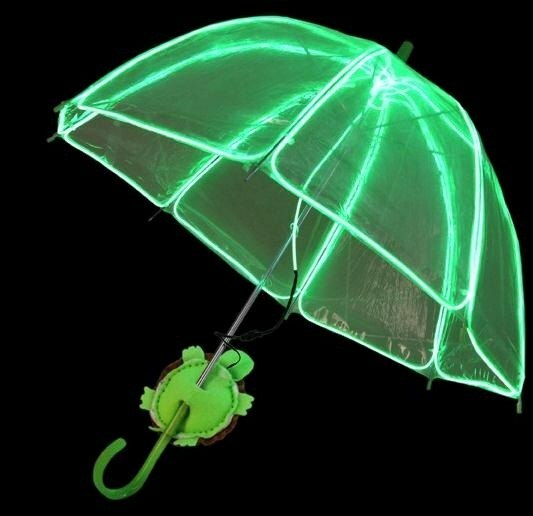 Your cloud should now light up and be ready to wear! To turn your cloud on and off, move the negative prong against or away from the negative side of the battery. If you want to keep it secure, you can use some tape to keep the LED on. With this DIY kit, you can attach your light to anything. Solder the switch, LED and battery holder. The LED is inserted in the front side of the board, with the longer side of the LED inserted into the + side of the circle. The switch and battery holder are attached to the back, matching the white outlines of the board. Once together, insert the battery. Now you can turn your light on and off. Need a basic tutorial on soldering? Check your online resources. Kits are available in either 5ft or 10ft lengths and come in different colors. Use your imagination and create something fabulous!